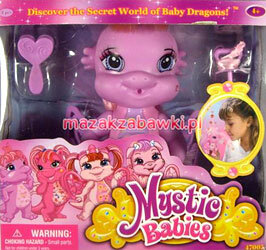 "Discover the secret world of baby dragons!" 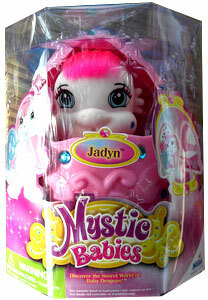 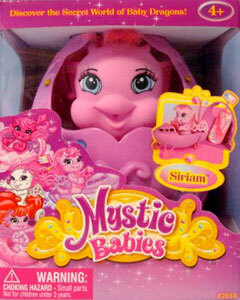 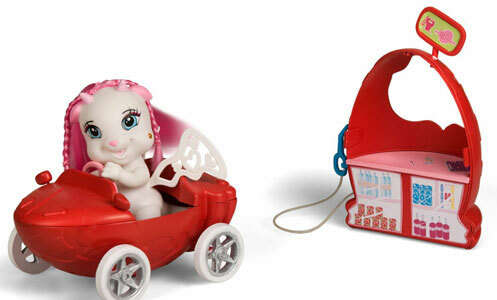 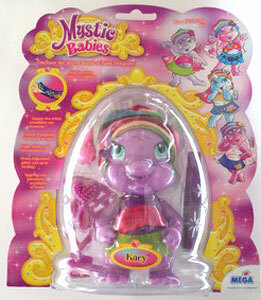 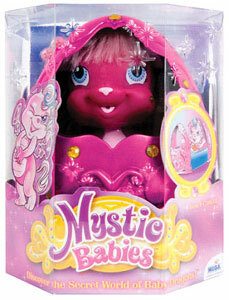 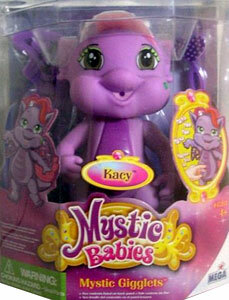 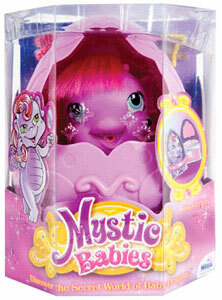 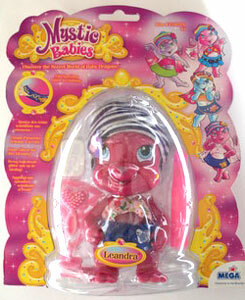 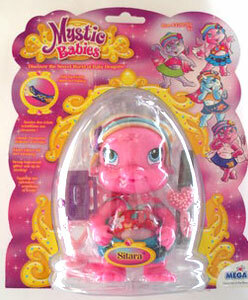 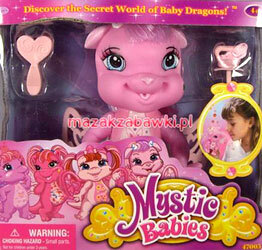 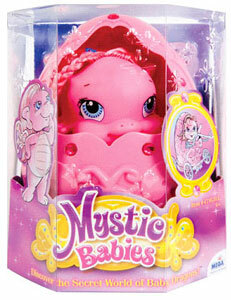 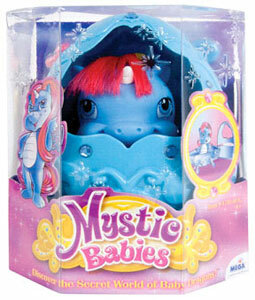 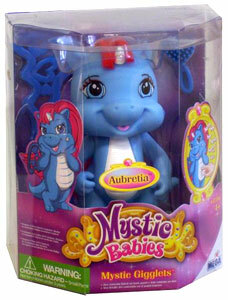 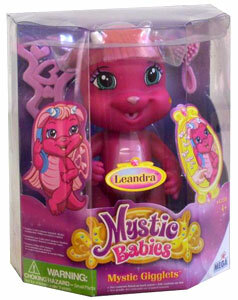 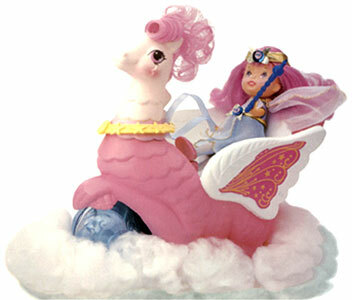 Mystic Babies were produced by Mega in 2008-9. 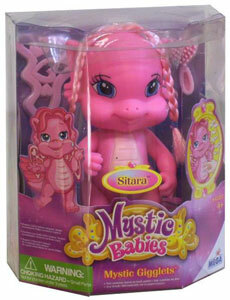 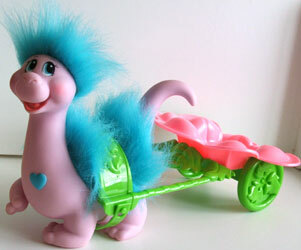 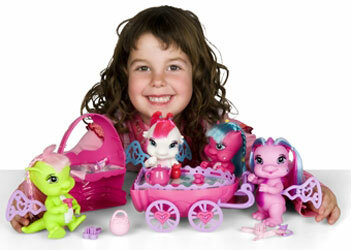 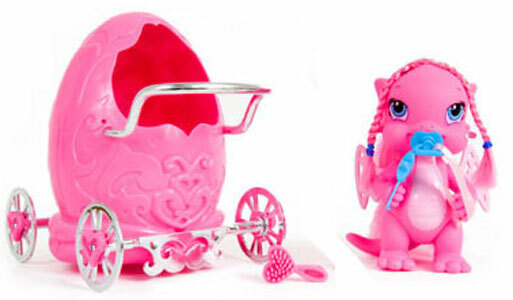 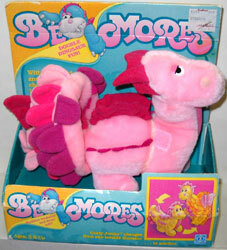 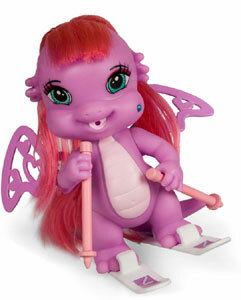 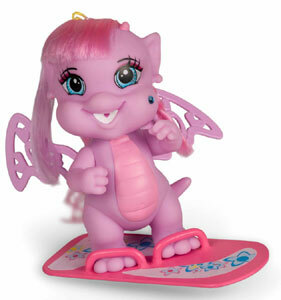 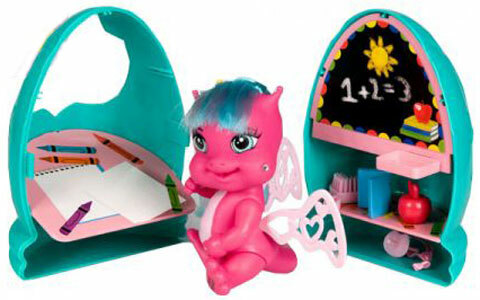 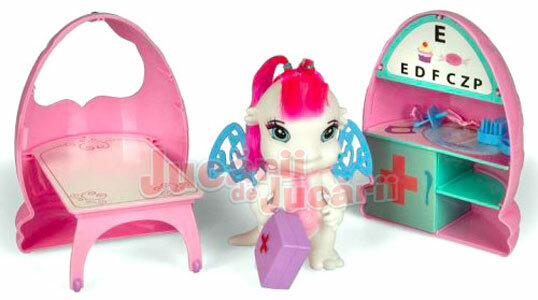 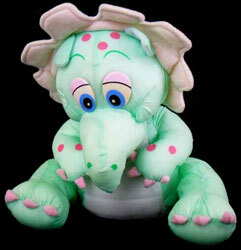 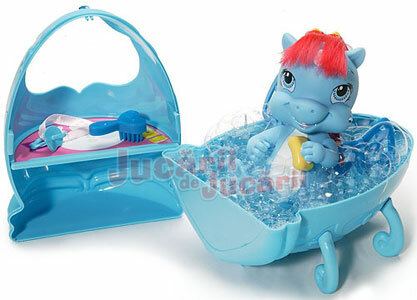 They were a series of colourful plastic baby dragons with brushable hair. 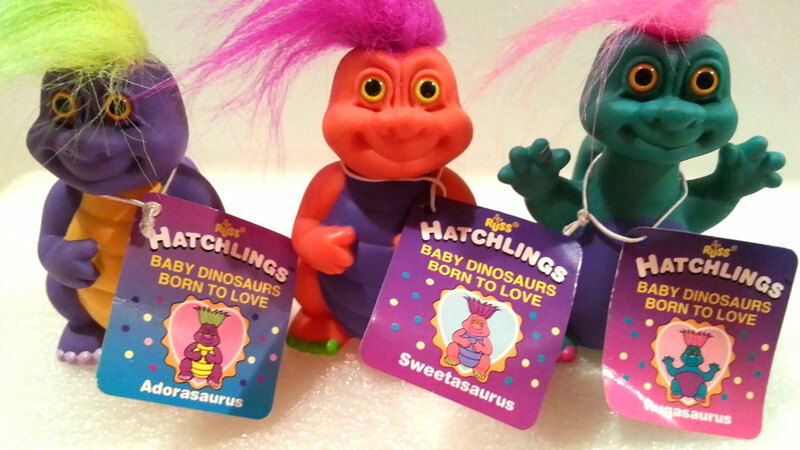 The original sets came in eggs which transformed into little playsets. 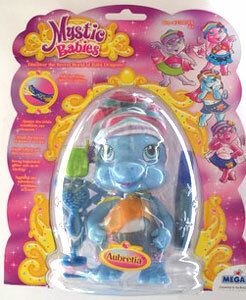 Images on this page found on Amazon and eBay , with thanks to various sellers! 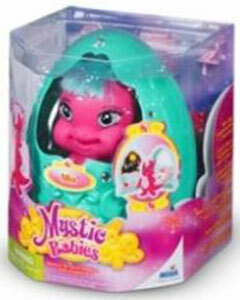 View all Mystic Babies on eBay.com or eBay.co.uk! 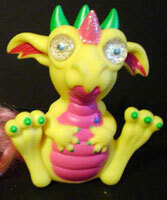 There were several sets of plastic dragons released. 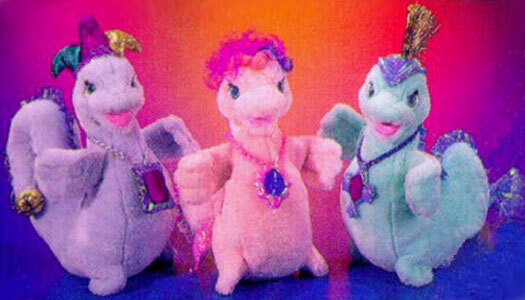 There were four dragons in the original set. 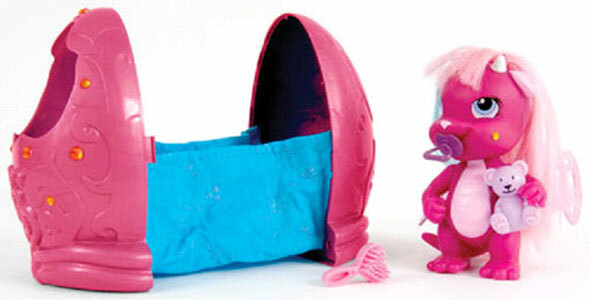 They each came with an egg which transformed into a small playset, a hairbrush, dummy and once small accessory they could hold. 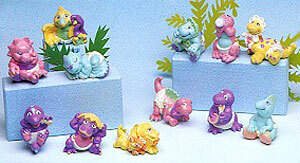 These four characters were also sold without their accessories, but with clothing instead. 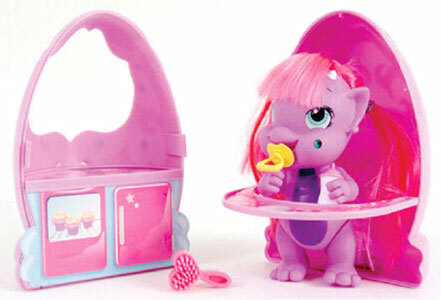 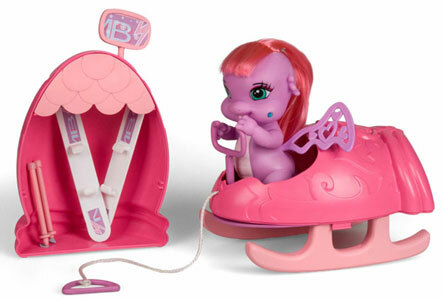 They also each came with a brush and dummy (as before), plus one small accessory they could hold. 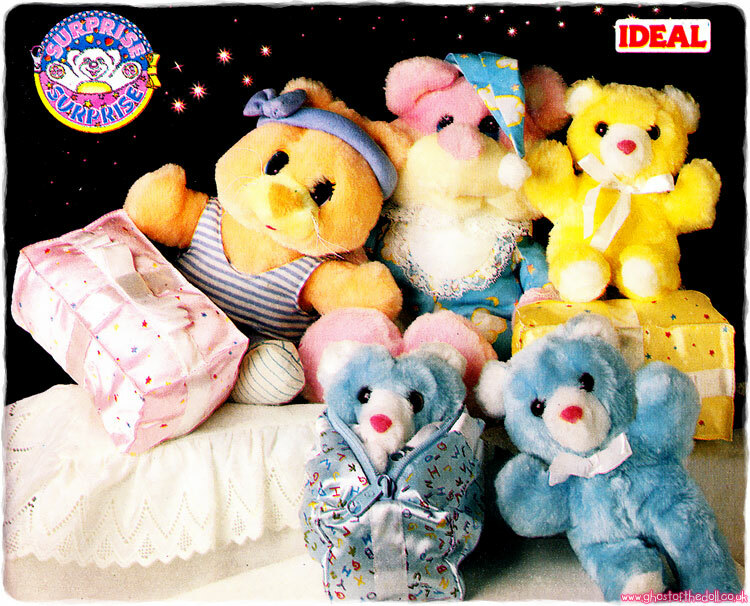 They also each came with a tube of glitter glue to decorate their clothing with. 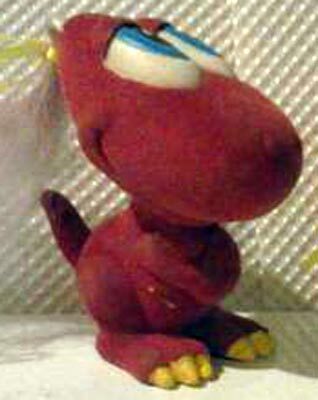 Four new characters were released, from now on produced with slightly different eyes. 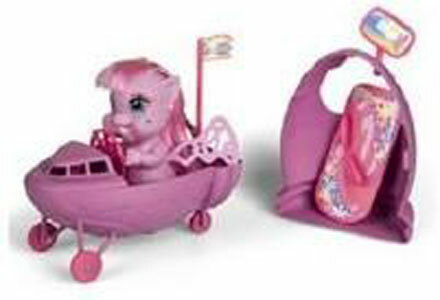 There were four new characters in this set, with a vehicle theme. 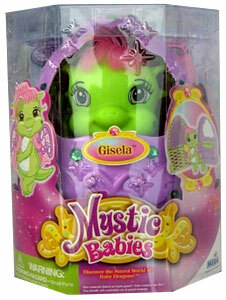 There were four Mystic Gigglets, all characters from the very 1st set. 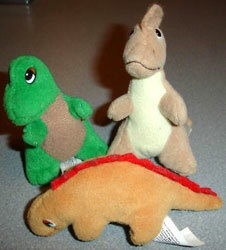 They laughed when their bellies were "tickled" and came with a brush and dummy each. 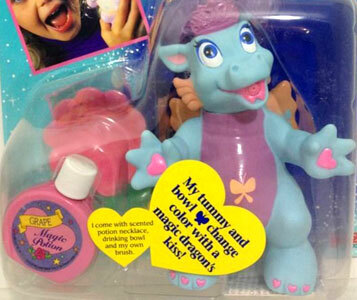 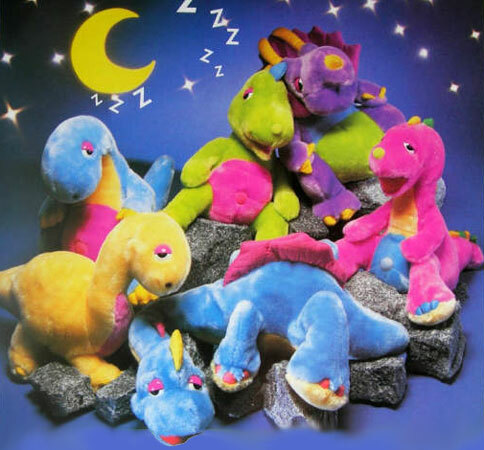 There were four scented dragons. 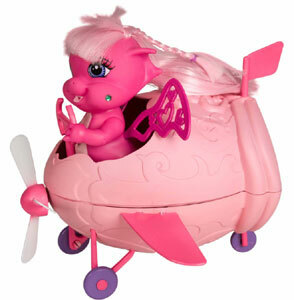 They were fruit scented, and their wings would flap when their bellies were squeezed. 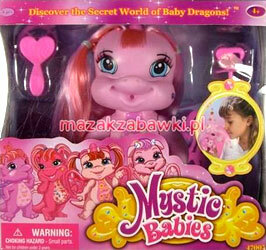 I don't know the proper name for this set as it wans't printed on the packaging, neither were their names. 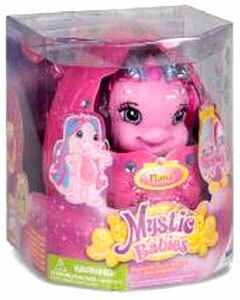 It looks like they each came with a bruch and dummy.